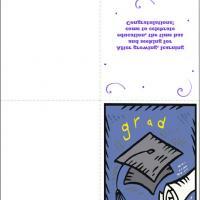 Congratulate your son or daughter on their graduation day through this colorful graduation card. 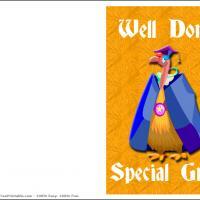 These printable Graduation cards feature a newly graduated bird against an orange feathery background. 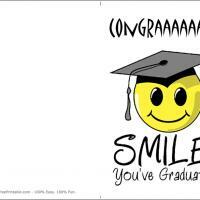 This card will send the message of how proud you are for the good job that the graduate has done. 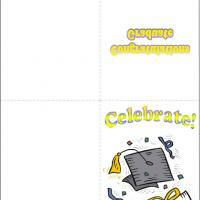 Print these free printable cards now and let them feel good and accomplished for all their success. 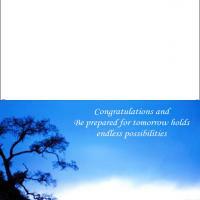 There is room inside to write a personal congratulatory message.